Ciena’s move to diversify its customer base beyond large Tier 1 service providers like AT&T (NYSE: T) and Verizon (NYSE: VZ) continued to pay off in its fiscal second quarter of 2015 as revenues rose year-over-year to $621.6 million. Ciena’s net income for the fiscal second quarter 2015 was $20.7 million, or 17 cents per diluted common share, which compares to a GAAP net loss of $10.2 million, or 10 cents per diluted common share, for the fiscal second quarter 2014. 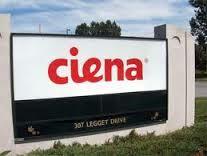 Analysts had forecast that Ciena would report earnings of 13 cents per share on revenue of $559.3 million.